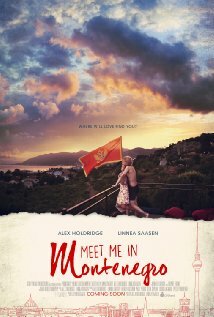 Film and TV distributor The Orchard has acquired all U.S. and Canadian rights to “Meet Me in Montenegro” which premiered at the 2014 Toronto International Film Festival and will be released in theaters next year. Real-life couple Alex Holdridge (“In Search of a Midnight Kiss”) co-directed the love story with Linnea Saasen, and the duo also star alongside Rupert Friend (“Homeland”) and Jennifer Ulrich. Art imitates life in “Meet Me in Montenegro,” as it is closely tied to Holdridge and Saasen’s real-life relationship. The film centers around L.A.-based writer-filmmaker Anderson (Holdridge) and Norwegian dancer Lina (Saasen), who shared a brief whirlwind romance which took them from Berlin to Montenegro, where Lina vanished – leaving only a note. Years later, a chance encounter reignites their mutual attraction, but their romantic future is ultimately in the hands of fate.